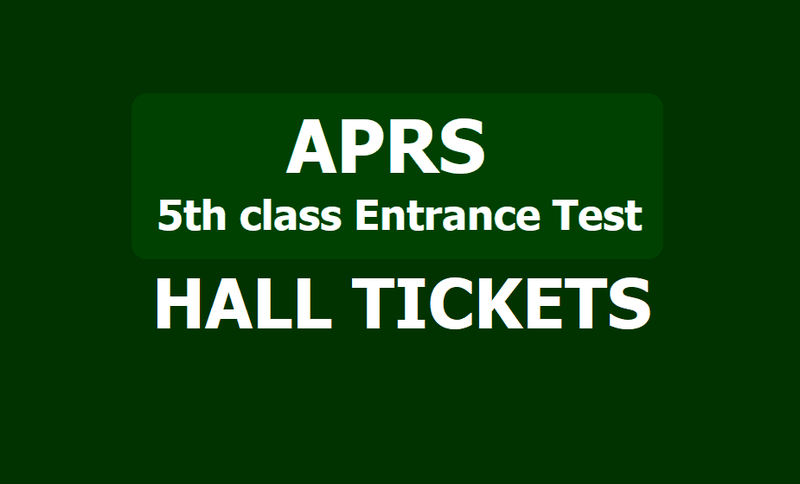 APRSCET 2019: APRS 5th class admission test Hall tickets 2019: APRS 5th Class Entrance Test hall tickets 2019, APRS V class admission test #halltickets 2019, APREIS Admission Test 2019 for Class V Hall Ticket Download: Andhra Pradesh Educational Institutions Society(APREIS) issued the APRS 5th Class Admission Test 2019 Notification in the month of December 2016. APREIS 5th Class Admission Test 2019 Exam for admissions into 5th class in Residential Schools in the AP State for the academic year 2019-2020. APREIS invited online applications from the Students should be a bonafide of Class IV during the academic year 2019-2020 in any Government School or any recognized school of Andhra Pradesh for admission into 5th class in its APR Schools. Class IV bonafide candidates were applied through online mode at its official website https://aprjdc.apcfss.in/ for this APREIS V Class Admission Test 2019 notification stream. 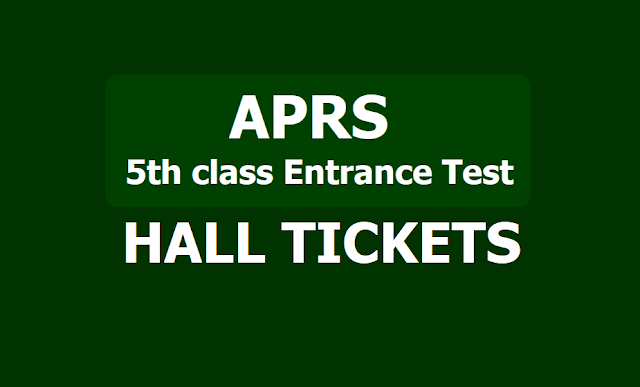 APREIS Officials would uploade the hall tickets of V Class Admission Test 2019 on their official website https://aprjdc.apcfss.in/. Candidates can download their Admit Cards/Hall Tickets from APREIS Website and appear for the admission test at the given centre. 1. Candidates can download their Hall Tickets from the website at aprs.cgg.gov.in,or https://aprjdc.apcfss.in/ with the reference number allotted to them. Step 6: It has to be produced at the examination center for your personal identification.